Our colleagues over at Environment and Planning D: Society and Space have just published an excellent ‘mini forum’ on their open site. Entitled ‘Militarism?‘, the forum includes pieces from members of the Cultures of Militarization Working Group funded by the University of California Humanities Research Institute. Its organiser, the University of Toronto’s Deborah Cowen, provides an superb introduction but – all too modestly! – doesn’t cite her wonderful work in the field. 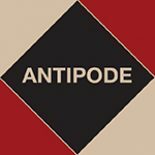 Deborah has published some great papers in Antipode, all well worth reading by those interesting in the forum and the issues it explores. ‘Surplus Masculinities and Security‘ (with Amy Siciliano) investigates the racialised and gendered geographies of military recruitment and urban policing in North America and the UK as key domains for both the management of surplus populations and the extraction of surplus value. ‘Welfare Warriors: Towards a Genealogy of the Soldier Citizen in Canada‘ offers a genealogy of the soldier-citizen in Canada, from iconic national worker-citizen in the post-World War II period to its recent anxious positioning at the intersection of ‘domestic’, entrepreneurial, workfarist citizenship, and the widespread re-emergence of militarism and national security. ‘After Geopolitics? From the Geopolitical Social to Geoeconomics‘ (with Neil Smith) examines the erosion of geopolitical calculation and the rise of the ‘geoeconomic’, tracing the emergence of geoeconomic social forms in three domains: the reframing of territorial security to accommodate supranational flows; the recasting of social forms of security through the market; and the reframing of the state as geoeconomic agent. If that’s not enough, then there’s also a symposium we published last year – ‘Locating the American Military-Industrial Complex‘, organised by Deborah’s Toronto-based colleagues Matthew Farish and Patrick Vitale – with six really great papers; Ian Shaw and Majed Akhter’s ‘The Unbearable Humanness of Drone Warfare in FATA, Pakistan‘ and Carolyn Gallaher’s ‘Risk and Private Military Work‘ from this year; and last year’s Graduate Student Scholarship winner, Oliver Belcher, with ‘The Best-Laid Schemes: Postcolonialism, Military Social Science, and the Making of US Counterinsurgency Doctrine, 1947–2009‘. Lots to read on a Friday afternoon! This entry was posted on 7 September 2012 by Antipode Editorial Office in Other and tagged counterinsurgency doctrine, Deborah Cowen, drone warfare, drones, Matthew Farish, militarism, militarization, military, military social science, military-industrial complex, national security, Patrick Vitale, policing, risk, securitisation, security, surplus populations.